It seems Spring has (finally!) reached British shores once more, and with a little sun comes a desire to shed those dreary winter shades and embrace those Spring brights. 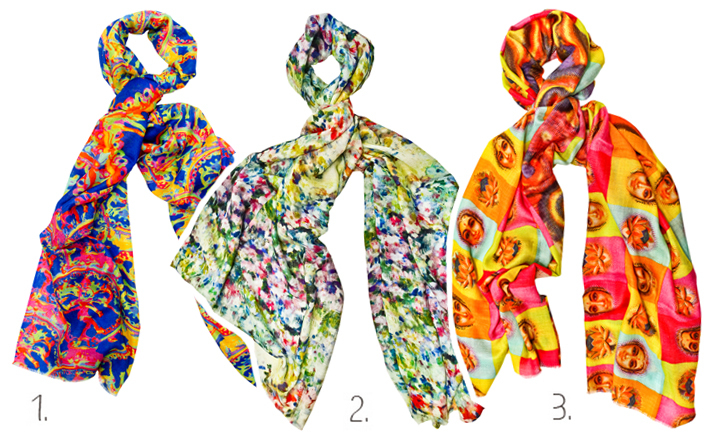 So, on an unusually sunny afternoon, what better to have stumbled upon than a plethora of eye-poppingly scintillating scarves? 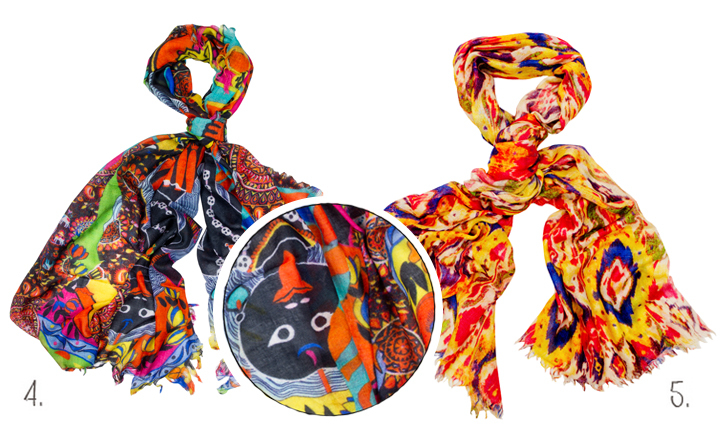 Created by designer Jas Sandhu and business partner Rukmani Singh, the label, aptly named Mitandio which literally translates as 'scarves' in Swahili focuses on the scarf as a "simple accessory that has the sublime ability of beautifying the simplest of looks" - a theory I whole heartedly support as a, perhaps overly avid scarf wearer. With their collection of unique prints in a spectrum of kaleidoscopic colours, this is one label that's definitely nailed their target. Having studied at Delhi's prestigious National Institute of Fashion and Technology (NIFT). and worked as a Stylist for ELLE Decor, it comes as no surprise that Jas's eye for design has lead to a line of sell-out styles. I, for one, am obsessing over their contemporary injection of ethnic inspiration; a style which comes as a result of Jas's unconventional upbringing spent shuffling between Punjab and the Tanzanian Serengeti. Fusing their love of travel and of the endless idiosyncrasies of varying cultures, Jas and Rukmani endeavour to inject each design with "its own story and history, springing from mythology to political issues to human values to nature, serving as an inspiration to different spans of life." Now that's an accessory to boast about.